Hotel Golden Park is located in the Mansarovar Garden Area. It is near Kirtinagar Railway station. It is a short walk away from the Wood Market Bus Stop. The famous tourist spots of Talkatora Garden, Sri Laxmi Narayan Mandir, Nehru Planetarium are within 30 minutes drive away from this hotel. The hotel offers free Wi-Fi, AC, TV, geyser in all the rooms. They also have an elevator and laundry facility for the guests. 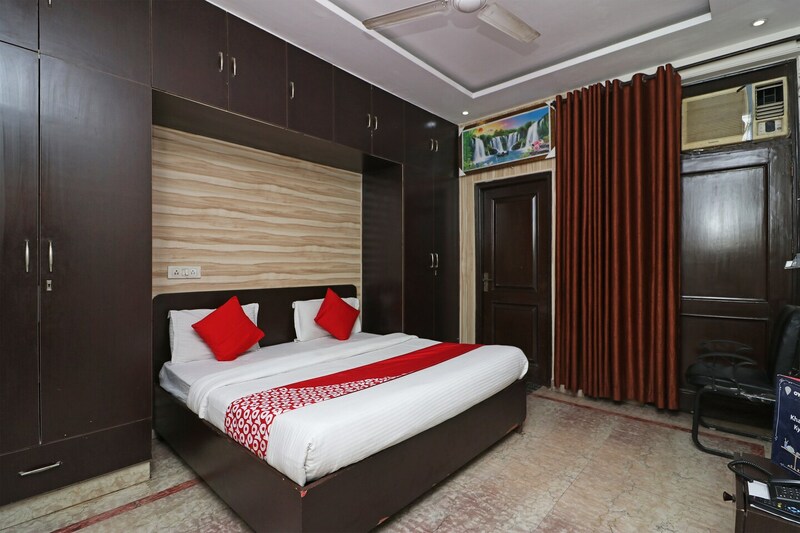 There are plenty of eateries such as Cafe Indian Delight, Shudh Vaishno Hotel, Jeet Chaat Bhandar and Inner Chef which are within 2 km of this hotel.